LeBron James’ first official start at point guard since 2005 resulted in a predictably dominant performance – a season-high 34 points and 13 assists. While “officially” running the floor for the Cavaliers last night, the four-time MVP debuted another impressive PE colorway of his 15th signature shoe with Nike. 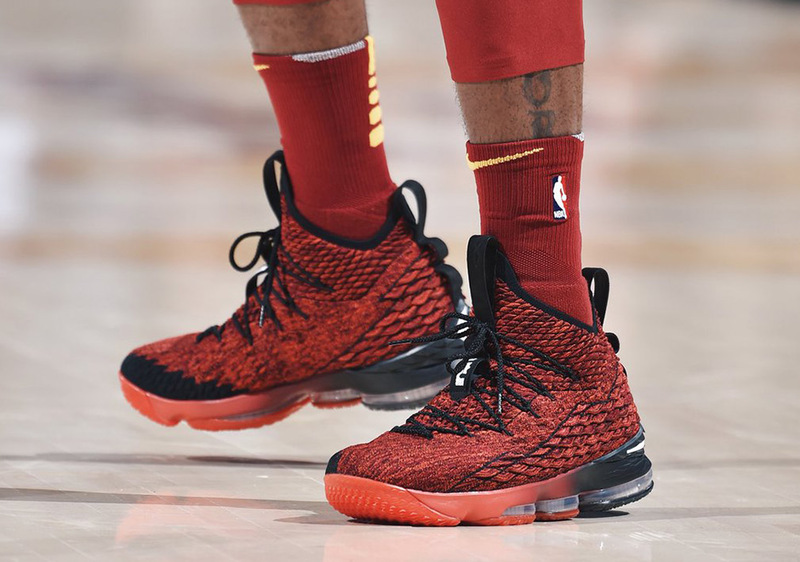 This is the first look we’ve had at the new Red/Black colorway of the LeBron 15 that features a red Flyknit upper with black detailing and a gradient midsole. LeBron will continue to roll out new colorways of the Lebron 15 as the NBA season progresses, so stay tuned to see what he debuts next and don’t forget – the “Ashes” colorway officially drops this Saturday.